I cant say how grateful im to you my brothers. I can only say thanks and also click on a few adds for you which will help you maintain this site . I have one sincere request from you bro .... 2 days back i sold my ps3 and got a ps4 5.05 hen 1.7 with the latest games pre-installed. But my main reason to buy ps4 was to play the JAK and Daxter collection (specifically JAK 2 and JAK 3) . Many people here say its not possible to get that games because its not released on disk and is only on PSN. 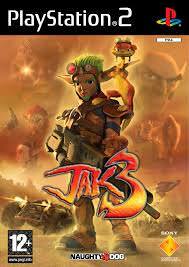 But already i downloaded JAK 1 from a site and have put it in my PS4 and its working flawlessy. I tried every single page on google brother every tutorial but failed to get jak 2 and jak 3 on my ps4. My problem doesnt end here . This PS4 is actually owned by my uncle who had bought the ps3 for the jak collection but i forced him to sell it since it was aged and not working properly. I said that ill get the JAK series on to his ps4 but now i cant do it bro not without your help. Please take on my request bro i know it is very hard for you as there are many requests but if it was my PS4 I wouldn't even mind to wait for any amount of time . sorrry for writing such a long comment brother but even if you can do JAK2 OR JAK3 that would keep him entertained for a long time bro . Even if you cant make it for me if you can guide me on how to do it just for this 1 game i would be the most grateful person to you and would never forget your work you are doing for us that too for free ... please contact me my friends.